Arrowhead plant (Sagittaria calycina?) encased in ice a the Helzer family prairie near Stockham, Nebraska. I suppose it would technically be considered more of a portrait than a still life? What do I know? I’m not an artist, I’m just an ecologist with a camera! I was pretty sure this plant was an arrowhead (Sagittaria sp) but I took it to my botanist down the hall, Gerry Steinauer, for confirmation. Gerry first gave me a hard time for not bringing him the actual specimen (?!) but eventually agreed with me that it was an arrowhead and even identified it to the species – Sagittaria calycina. I’m sure the botanists out there reading this will look closely to see if they agree with him or not. Let me know what you think! 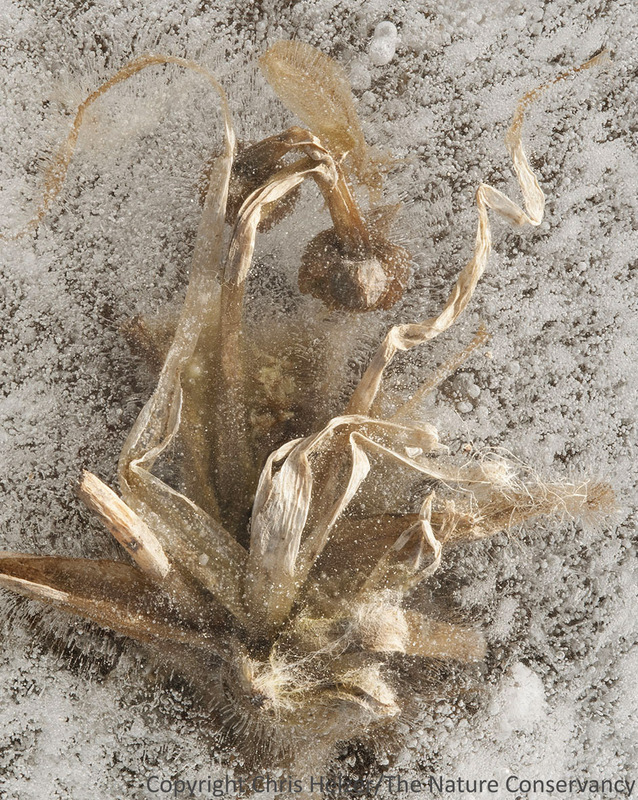 This entry was posted in Prairie Natural History, Prairie Photography, Prairie Plants and tagged arrowhead, found still life, frozen plant, ice, nature photo, photography, plant in ice, sagittaria, winter by Chris Helzer. Bookmark the permalink.